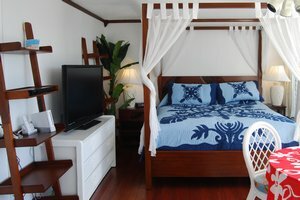 This unique Hawaiian unit has been tastefully decorated with a tropical and modern flair, and with your comfort in mind. 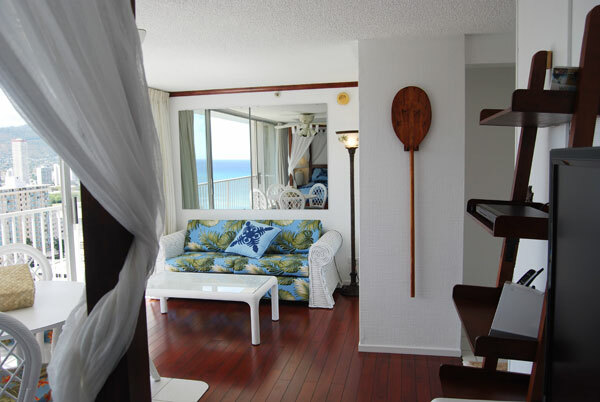 Located in the Pacific Monarch, in the heart of Waikiki, the unit is just 2mn walk from Waikiki's beach and is surrounded by world class dinning, shopping and activities. 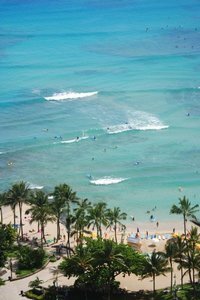 You will watch free hula shows on Kuhio beach, snorkel around colorful fish and enjoy the tropical breezes from your lanai. You can see many pictures of the studio in the Photo gallery. 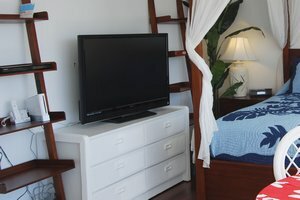 This large studio accommodates 2 to 4 guests. 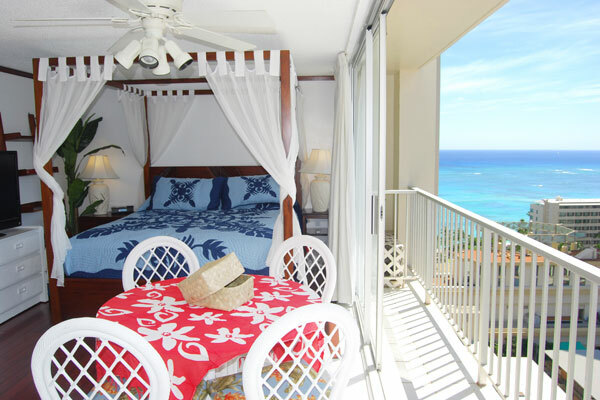 - Even visit the filming locations of the popular TV show "LOST" and "Hawaii 5-0"
This is a privately owned unit. 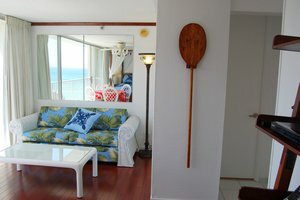 You will not find another studio like this one in the building, or in any Waikiki hotels. You can see more pictures of the studio in the Photo gallery. You can check availability and book online. Location of the building: map. 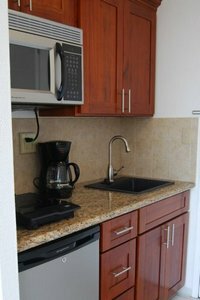 Don't hesitate to contact us if you have any special need.